Do you want to hire professional gunmen? 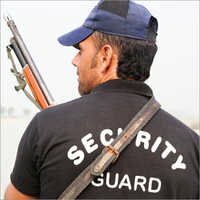 We are based in Ghaziabad, Uttar Pradesh (UP) and our Gunman Security Services are very impressive. Our services are streamlined by our efficient professionals who maintain a comprehensive data bank of gunmen looking for jobs. We would also conduct stringent background verifications before suggesting the gunmen to you. Our service charges are very less and we can also immediately provide many professionals to you. Whether you need gunmen for your jewellery shop or for your housing society, we can assist!